The above are photos of our simplest cruciform hilt which we refer to as our "Aguirre The Wrath Of God" model. According to "The Archaeology Of Weapons" by Ewart Oakshott, plate 20 top right, this design dates from 1420 to 1450. 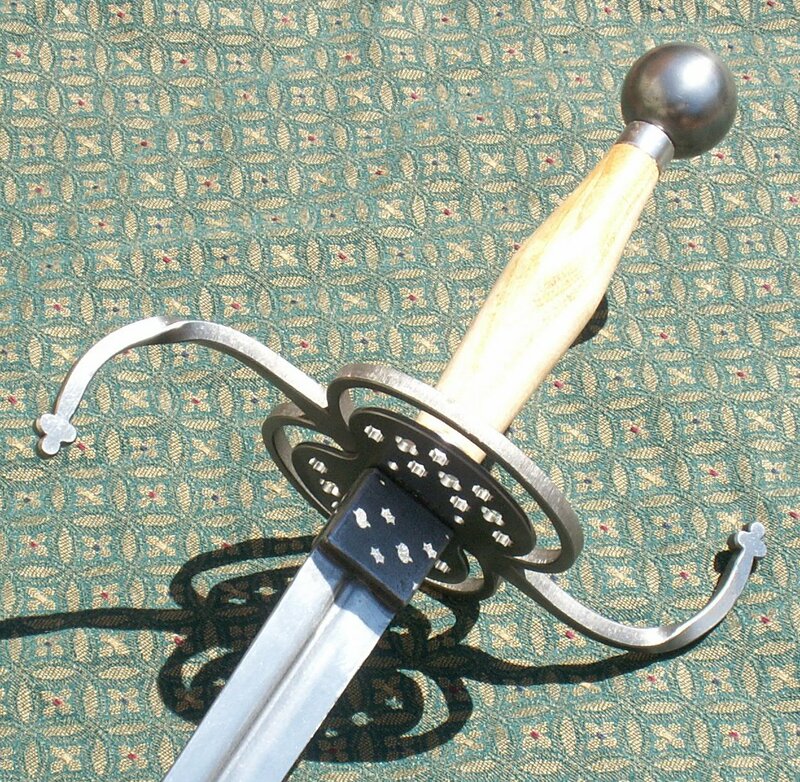 Our hilt consists of an 11 3/4 inch long cross guard, and two open (unfilled) side rings. The side rings measures 3 inches long by 2 inches wide. An optional perforated plate may be added at a cost of an additional $10 to cover the side rings as seen on the example to the right. An optional knuckle guard, as depicted on the example to the left, is now available which may be ordered separately for an additional $15. The wooden grip is from 5 1/2 to 6 inches long and the pommel, on the example to the left, is our large 1 3/4 inch diameter ball. Guards may be ordered straight (I), serpentine (S), or curved forward (C shaped). 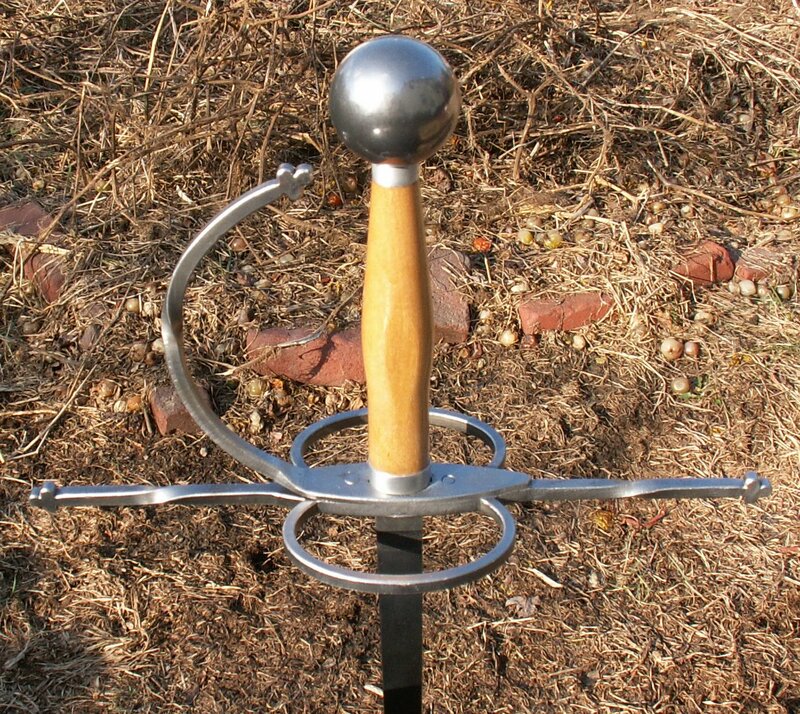 The Aguirre hilt may also be mounted on a dagger blade. For dagger blade specifications, follow the Dagger Blades & Hilts link. Please note: If not specified, the defaults are gray, straight.